We are very proud that our B+B has been chosen to be listed in the GéoGuide and in the Guide du Routard 2018. 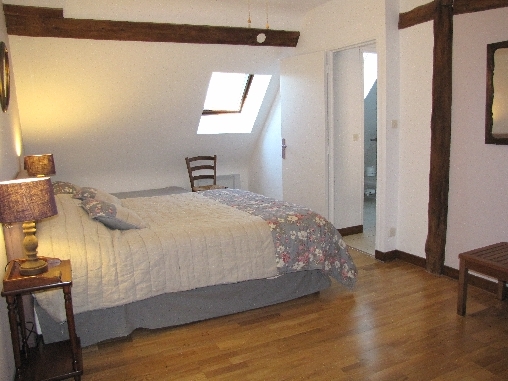 You will be staying in an old Sologne farmhouse dating back to 1890. 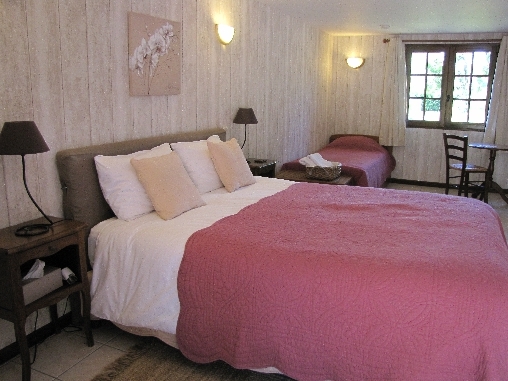 All rooms have an en suite bathroom with either a shower or a bathtub with a shower. 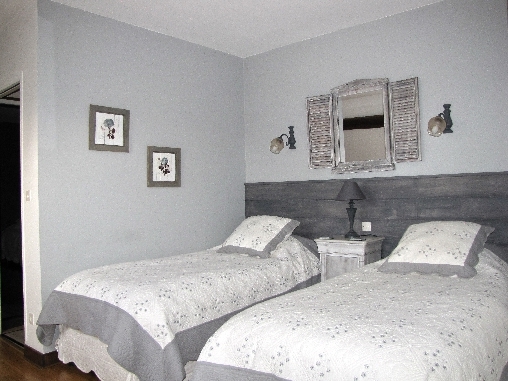 We have redecorated the rooms and purchased very good quality mattresses and soft comforters. 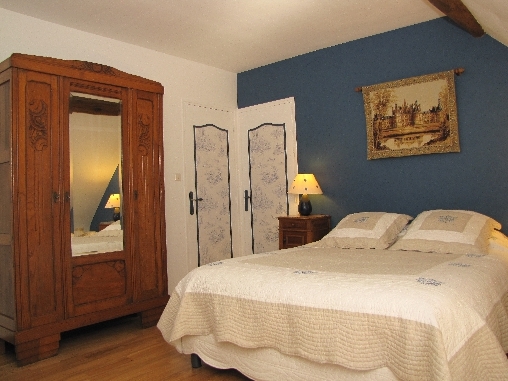 Together with our very quiet location, we are sure that you’ll have truly relaxing nights. 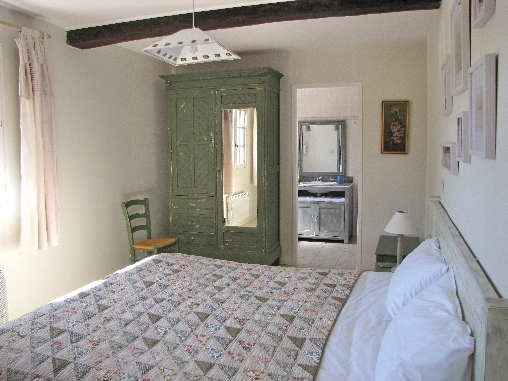 Our bed and breakfast is an old farmhouse which has a breakfast room, a living room with a fireplace and a kitchen that you are free to use. Picnic tables and a bbq are also available. Our own house is just 30 yards away so you’ll feel quite independent without having us around all the time! The 5 acre garden is planted with old trees and we have a large pond, home to a flock of wild ducks. Besides Chambord castle from which our B&B could not be any closer, the majestic castles of Blois, Cheverny and Chaumont sur Loire are less than 25 minutes drive from our bed and breakfast. 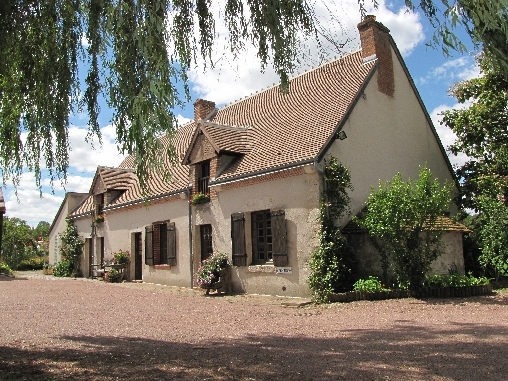 In addition, we would recommend visiting smaller but charming castles such as Villesavin, Beauregard, Troussay, Fougère sur Bièvre, Talcy or la Ferté-Saint-Aubin. They offer peaceful visits away from busloads of tourists. 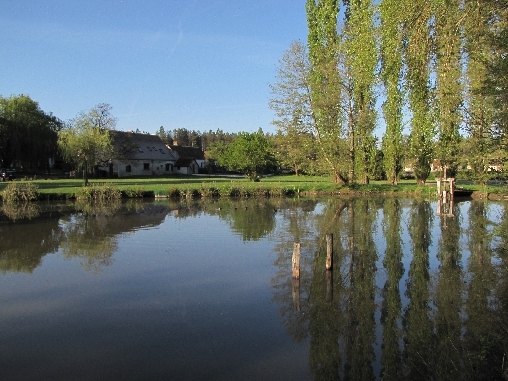 Less than 45 minutes from our B+B you will be able to discover Amboise, le Clos Lucé and Chenonceau. As you see, the Loire valley is home of many magnificent castles, each with its own peculiarities and charms. We have no doubt that you will fall in love with one of them ! 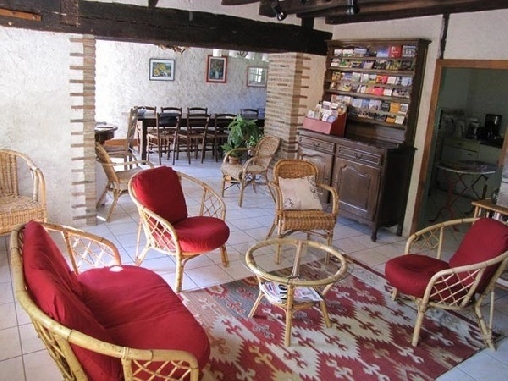 Whether you like history, sports, thrills, walks, garden visits, family fun,... we are confident the Loir et Cher region will please you. Please visit my site to know more. We don’t serve an evening meal, but I can recommend several good restaurants in the area that are not far away. From a simple but friendly French Bistro to more sophisticated fine dining. Stay with us 3 nights or more and get 10% off your entire stay or get your 6th night free ! We only take reservations for a minimum of 2 nights. Please call us, we are fully bilingual ! Rest of the year: Stay with us for 3 nights and get a 50% discount on the 3d night or your 5th night is free ! Easter, Assumption, Pentecost, May 1st (French labor day), May 8th (V day), July 14th and August 15th, the prices are 75€. We will only take reservations for a minimum of 2 or 3 nights depending on the long week-end. Please call us to find out. Special offer for these long breaks: stay with us 3 nights and get 50% off your 4th night or get your 5th night free! We’d be more than happy to help you plan your visit. In addition to our personal recommendations, we can provide you with brochures of the surrounding castles and activities. Click here to check the department’s weather forecast (Loir-et-Cher). Temperature, rainfall, sunshine, wind, satellite image, etc.. Click here to learn about the features of this department’s climate.